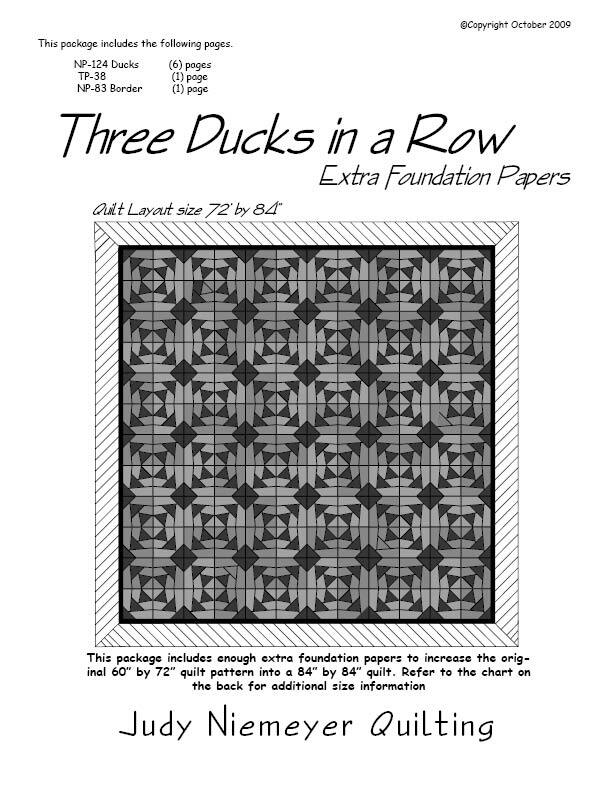 The foundation papers, templates and block layout for Three Ducks in a Row was designed by Judy and Bradley Niemeyer. This quilt was designed to teach two very simple techniques using template layout sheets for the cutting and foundation paper for the sewing. A collection of fabrics designed by Island Batik were used to make the quilt shown on the cover. Julie Olson McAuliffe Beautiful quilt! Frances Elsheimer Love this pattern. Deb McGuire ooh, nice colors!!! Three Ducks in a Row designed by Quiltworx.com, made by Linda Mathis. Received a 2nd Place Ribbon. Three Ducks in a Row designed by Quiltworx.com, made by Colleen Robert. 3rd place winner at the Linn County Fair in Oregon. Three Ducks in a Row, Quiltworx.com, Made by Kris Passinault. Kathy Brigger I would call this early morning for me. It's beautiful but this is what I see first thing. Lynn Michel Great colors on this. Kelly Dickinson Beautiful pattern and color scheme! Three Ducks in a Row, Quiltworx.com, Made by Ci Karen Conley. Barbara Lewis Stankiewicz I love those colors. Beautiful!!!! Pat Richie I really like this!! 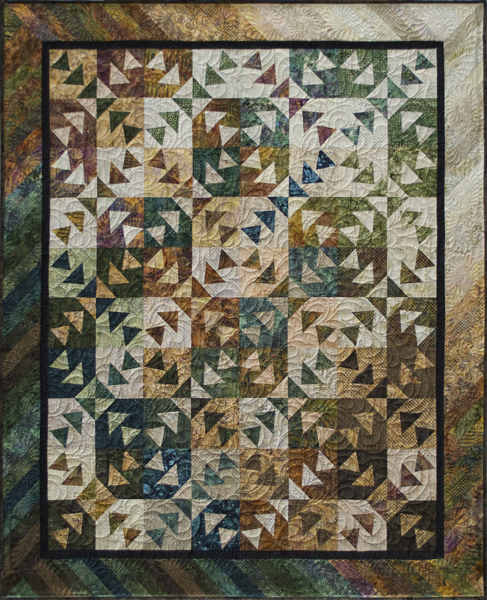 Marilyn Doyle-Behrens Grace, I can see you making this one but your quilting would be the hilight of it all! Lillian Pearson Thompson Very, very nice! Jan Sheets I absolutely love love love this quilt!!!!! Marcia Ormsby Wethli This is a LIKE!! Marcia Smith Skyner LOVE it...best color choices ever!!!!! Three Ducks in a Row, Quiltworx.com, Made by CI Sandy Lueth. Amy Dudley Ellison Phil, Willie, and Si!! !